For those who recognise the company name #RaphaelTuck&Sons, one would expect this chapter to be about postcards. But it’s not. Surprise. Tuck & Sons was one of the most innovative companies of it’s era. Founded by husband and wife team, Raphael and Ernestine Tuck in 1866. It began as a little shop on Union Street in Bishopsgate, London. He an artistic perfectionist and she an astute businesswoman revolutionised business practice. The Tucks went from selling and framing prints and artworks to printing postcards. In 1880, they began a competition for artists to supply artworks which would then be used as images for their postcards. Ten years later, in 1890, the Tucks created a #competition for amateur artists and art students. Over 20,000 artists from across the globe entered and from these nearly 9,000 pictures were sent to London to be judged. The competition was judged by Sir John Everett Millais, Marcus Stone, G H Broughton, and J J Solomon. Some 2,500 were chosen – separated into categories done over 9 days – at which point the judges took three days to then select the award winners. As with all competitions there were some differing opinions as to whether the winner was better than some of the other entrants. The winner in the door panel classification was a design of apple blossom and butterflies. 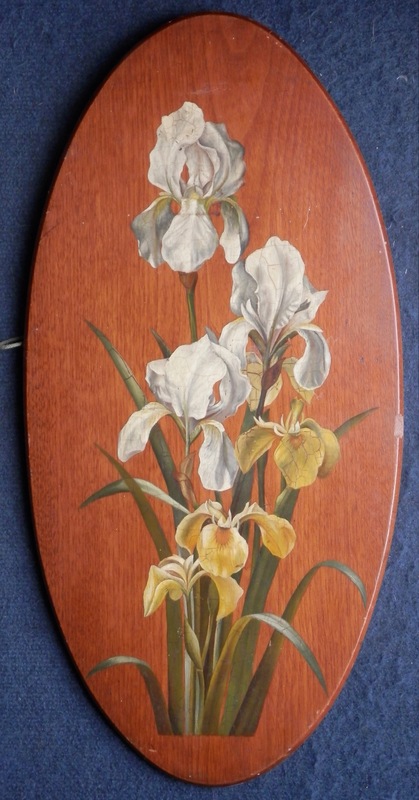 The #Irises painting presented here may have been entered into the door panel class . 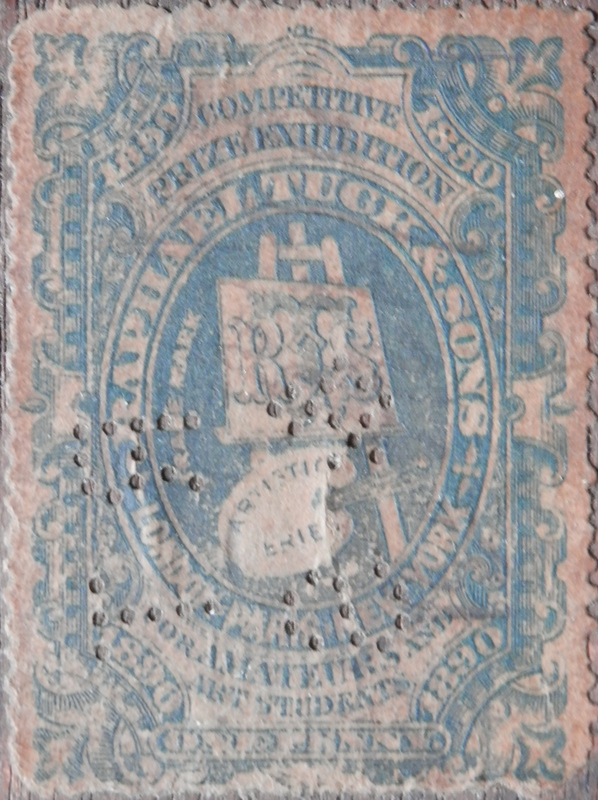 It bears the Tuck & Sons stamp on the rear. I believe there were different colours and values of stamps which may co-relate to where in the world the pieces originated (supposition only). 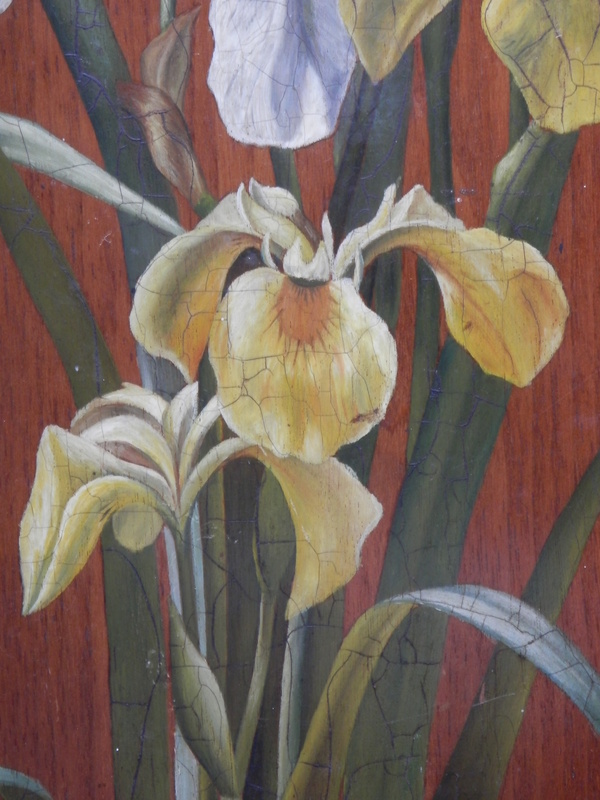 I add a few close-ups of the individual irises for your enjoyment. 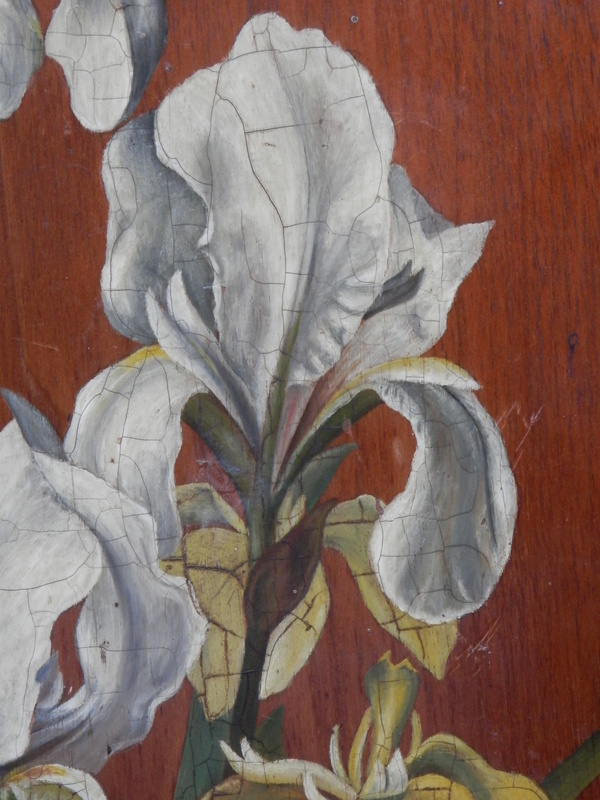 I love the way the varnished has cracked (known as craquelure) on top of the watercolour paint. To me, it adds a dimension to the image which would not have been there when first painted. 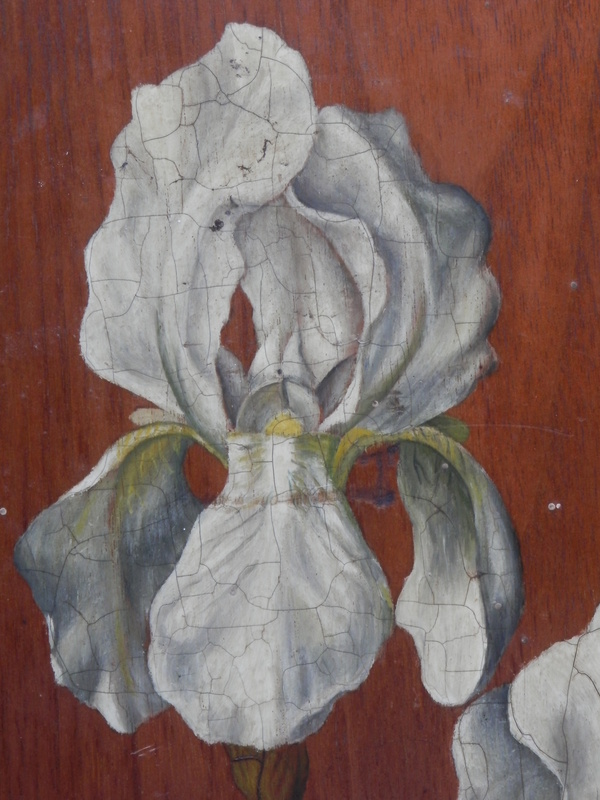 As an aside, the year 1890 was also the year in which van Gogh painted his ‘Irises’. Seems to have been a very popular flower. Beautiful and well worth creating an image of. 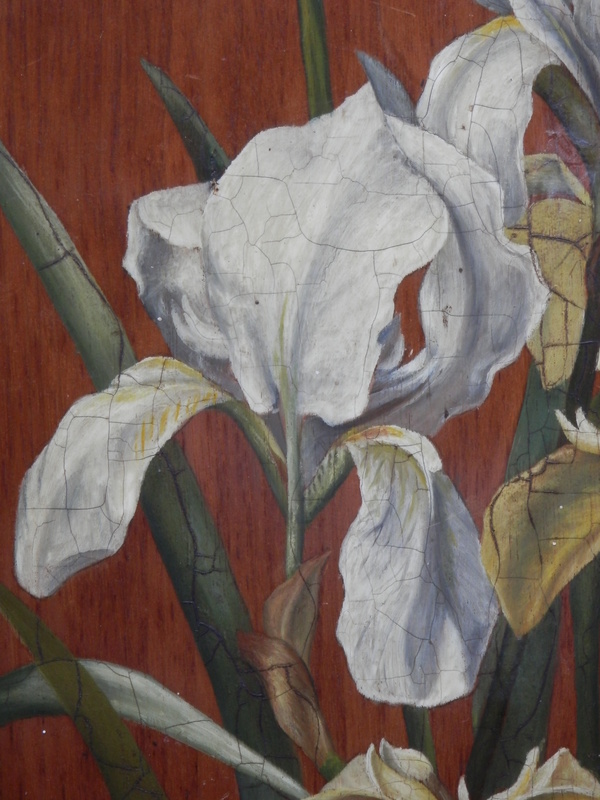 This entry was posted in Watercolour paintings and tagged competition, english oak, irises, Raphael Tuck & Sons, stamp, still-life, watercolour. Bookmark the permalink.